Travel, investments, personal security, and freedom can be enhanced by dual citizenship and a new passport. 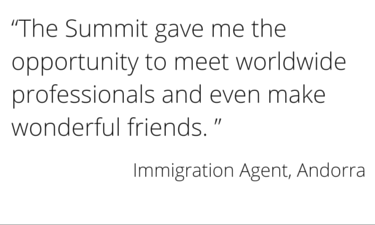 Fed up with boring investment immigration conferences in London, Dubai, or Singapore? 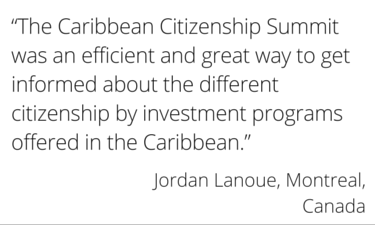 This is not just another Conference… this is the ultimate Citizenship by Investment Experience. It's time for you to put boots… or should we say sandals…. on the ground in the Caribbean!!! This is your chance to see, touch, feel, smell and taste the real Caribbean. Swim from the beach of the resort you are investing in. Dance to the beat of Caribbean music. Escape from your December routine! This event proves wrong whoever said you can't combine business with pleasure! You will enjoy company of family, colleagues, friends and clients who travel with you. You will network and meet new friends, including local agents, government officials, CIU heads, authorised developers and more from across the Caribbean. Most importantly, you will make more money by attending this event. In order to be successful in the Investment Immigration business you need to know your countries! Places are strictly limited and previous Summits have filled up fast. Sign up now and benefit from our Early Bird Bonus, and the chance to book flights while they are still good value! Frederick our professional Event Concierge is standing by to answer your questions and all special requests at +1-360-474-2100 or send email via the contact form.